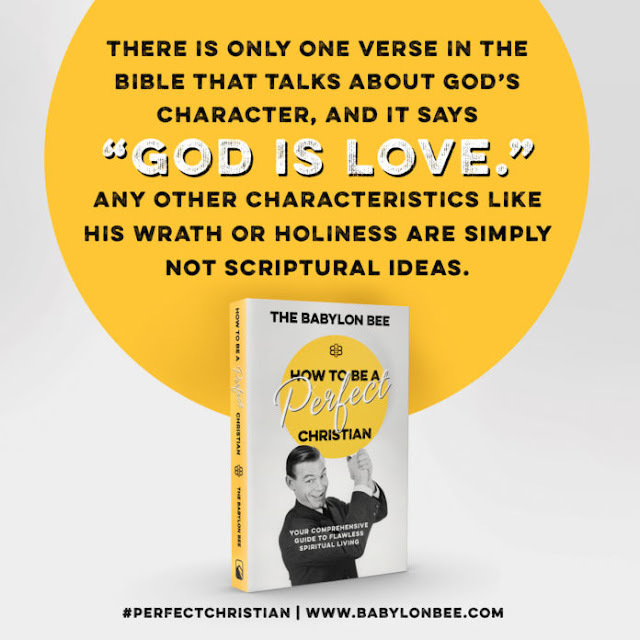 Babylon Bee is releasing a new book, "How to Be a Perfect Christian." By the time you finish the book, you will be talking the Christian talk, which is even better than walking the Christian walk. I've linked to this website many times, and it's on my The Old Reader RSS feed. This brand of Christian satire is hilarious. It goes without saying that I'm thankful for my intelligent readers, whose existence does not complel me to explain satire.